Get this great changer at a low price! While supplies last! Visit our facility and "try before you buy". 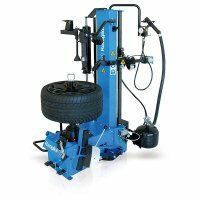 Our Medium Duty tire changer compares in seize and weight to others larger range models. This heavyweight machine has a rigid chassis that helps to reduces damage risk and operator effort. The mounting head stays firmly in place and will not flex towards the rim edge where damage easily occurs. 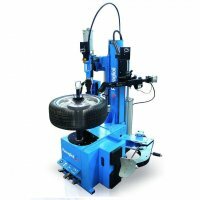 Tire diameter up to 38"
Advertised special price is for pick-up of tire changer and is only offered when in stock. 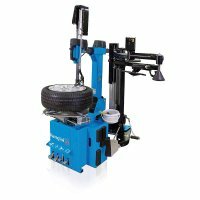 The tire changer sits on a pallet that measures 43" x 36". Call 570 639 2344 to schedule an appointment for pick-up arrangements. Additional freight or delivery cost when tire changer is shipped or delivered to customers location.